Attention is What Buys You Happiness – Love. Life. Practice. In my research into the art of cigar smoking (yes, I do lead an interesting life; cigars are tax-deductible) there was one particular conclusion that I came to in regards to the portrayal of cigars as tokens of power. I mean, that is part of the allure of cigars, as portrayed in popular culture: they portray power. Most of the time people think this is related directly to the idea of money, and it’s true: cigar smoking is not a cheap hobby, especially nowadays. But there’s a problem with that simplistic correlation: it falls apart pretty quickly when you look at it. 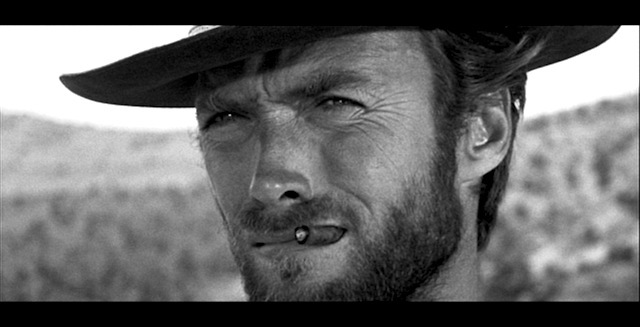 Clint Eastwood’s “Man with No Name” uses cigars as a measure of power, but he’s certainly not rich. Wolverine classically is portrayed as having a stogie in his mouth, but he’s not a wealthy character. In reality, for every Rush Limbaugh smoking a stogie there’s a Ché Guevara. So why are cigars about power, if it’s not about wealth? It’s not about money, I realized. It’s about the ability to pay attention. See, that’s one of the biggest differences between cigars and cigarettes: cigarettes tend to feed a mindless addiction, whereas a cigar requires attention to enjoy it. So if you have a cigar, you are saying: Regardless of whether I’m about to have a gunfight, storm the beaches of Normandy, whatever, I’ve still got enough attention to spare that I can enjoy this luxury. Money is mistaken for power because it can sometimes purchase you enough slack in your life to be able to pay more attention to the things you enjoy – if you’re smart enough to use that slack for that purpose. My oldest daughter fell into a similar trap last year. She was trying to afford an apartment for her and her son, and it meant working two jobs – which of course also meant that she didn’t have time to enjoy either the apartment or time with my grandson, and when she did have time at home she was often trying to catch up with sleep. I don’t know if I’ve ever been prouder, because she’s figured out something that it took me decades longer to figure out. Especially when it comes to kids, attention is the irreplaceable currency, but that’s only because their growth and change is so much easier to see. The reality is that it applies to every moment of our lives: there are no do-overs. The luxury to choose where you give your attention is one of the most precious gifts we have, whether we choose to spend it on ourselves or others. What can you pay attention to that brings you joy? That makes you happy? Where is that thing that you love that you can give a bit more attention to? And what do you think will happen when you do?